Date of publication: 07 May 2015 . 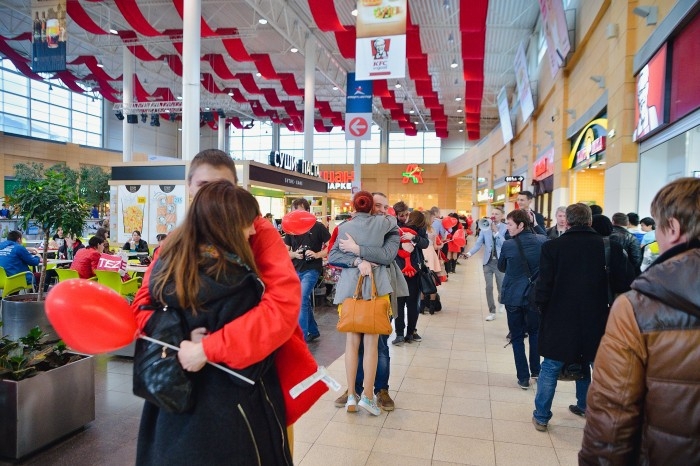 17 April Yekaterinburg was a record for the maximum number of couples who embraced the same time. 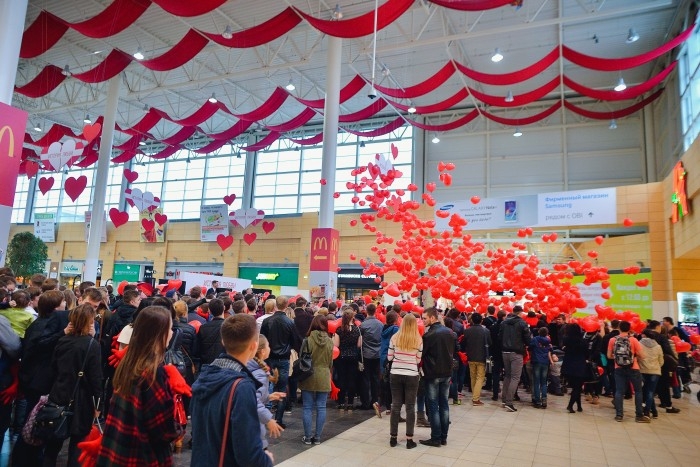 Flashmob with 552 people lined up in a chain length of about 500 m. By the way, this record is officially recognized and registered in the Russian Book of Records. As a gift to every private trader-handed pillow heart, which symbolizes the warmth of the embrace and, of course, love. 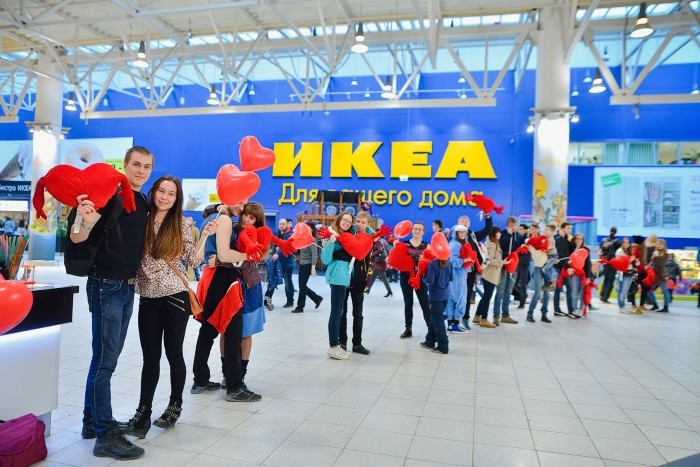 This flash mob in an atmosphere of romance has been specially timed for the contest titled "Love story. "His family was carried out in tandem MEGA shopping center and the company IKEA. 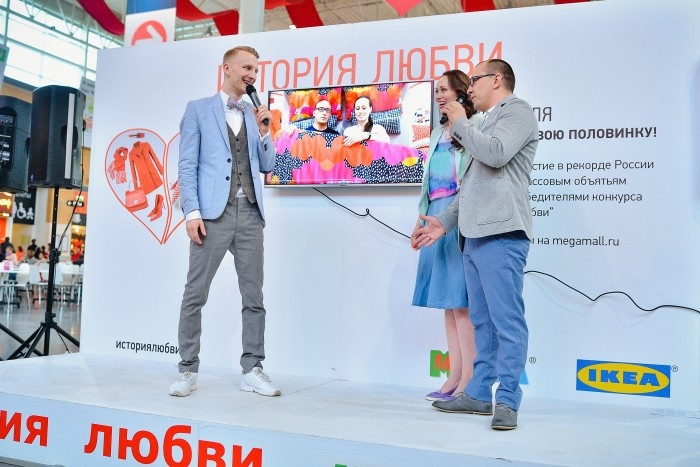 The competition is held in Yekaterinburg, was the fact that couples tell their stories of love and shared their dreams. The most creative and romantic stories have been implemented thanks to IKEA. 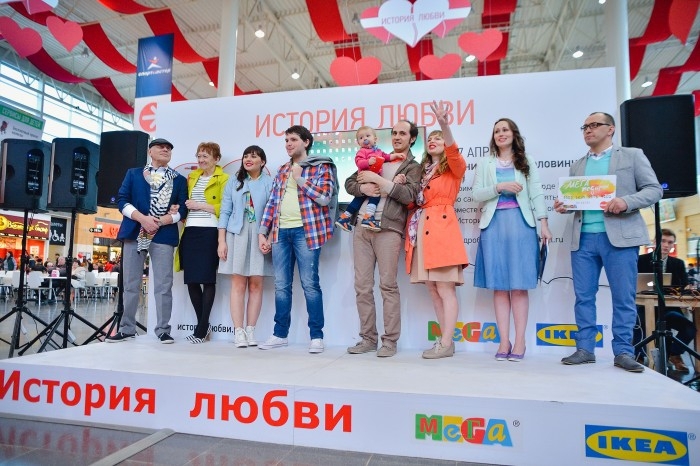 Param-winners were presented design projects bedrooms dreams from IKEA and images from the shopping center MEGA. Also, they were presented with certificates and 160 40 thousand. More information about this touching projectWhich took place in Yekaterinburg, you can read on the site istoriyalyubvi.rf. There you can get acquainted with the project and see the "Love Story".